Twenty four students, ages 8-18 were selected at random from Santa Barbara County in California, to participate in a study measuring the positive changes utilizing Books Neural Therapy™, a non drug intervention to improve academic skills and social behavior. Funding was made possible through the Schlinger Foundation. 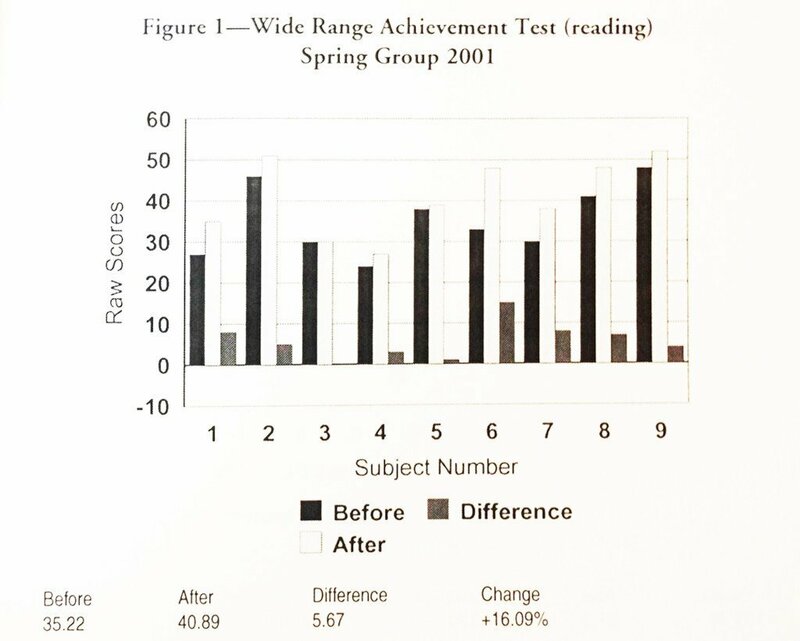 Twelve students were pre-tested with the Wide Range Achievement Test, treated with Books Neural Therapy™ for nine hours over a six week period, and nine were posted tested with the Wide Range Achievement Test during the spring of 2001. Three members of one family were unable to complete the post testing. The Wide Range Achievement Test is a commonly used quick assessment of overall reading, math and spelling proficiency. 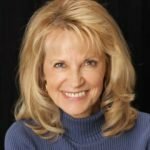 The Books Neural Therapy™ is a neurologically based, hands-on, repatterning technique to improve brain integration and body function. Of the subjects in the first group, three had been at Los Prietos Boys Camp. One boy went from reading at grade four to grade twelve. The second boy, who had been to Los Prietos twice, improved three grade levels in reading, two grade levels in math and five grade levels in spelling. The third boy was one of the three people who did not complete the post testing. The average improvement in reading for the first group of nine was three grade levels in six weeks (16.09% change in the raw scores), two grade levels in math (16.55 % change in the raw scores) and unsubstantial overall changes in spelling (3.81% change in the raw scores). Interesting to note, in the first group is the consistent improvement in both math and reading, very different skills. One of the most ADD children in this group, aged 8, made little change in reading (he was already at grade level), but improved two grade levels in math, an unusual and very hopeful change for a creative child. Often very right-brained, artistic children don’t do so well in math, a left brained activity. The second group of twelve students were pre-tested with the Wide Range Achievement Test, the Bruininks-Oseretsky Test of Motor Proficiency, and the computerized Test of Variable Attention. They were then treated with Books Neural Therapy™ and posted tested with the same instruments as were utilized in the pre-test. This second group was tested and treated over the summer of 2001. The Bruininks-Oseretsky Test measures gross and fine motor skills, such as running speed and agility, balance, bilateral coordination, response speed, and visual-motor control. Developmentally, gross motor skills precede fine motor skills. Both gross and fine motor skills in the body precede academic skills. An uncoordinated child often has neurological “glitches” which will affect his ease and speed of learning in school as well. The Test of Variable Attention is a rather tedious twenty two minute computerized test to elicit information about visual and auditory distraction and attention, yielding valuable information for medical doctors and others who need to measure Attention Deficit Disorder with and without Hyperactivity. (ADD/ADHD). It measures neurological deficits and can be administered repeatedly (and is by medical doctors who utilize this test to determine amounts of medication to prescribe to quell ADD characteristics). In this second group of children, one of the most remarkable changes was in the Bruininks-Oseretsky Test, in which ALL children improved substantially. The average change in the raw scores was 15.89%. The Wide Range Achievement Test on the second group did not yield very substantial changes, probably because the preponderance of the subjects were in second grade, leaving little possibility for several grade levels of improvement. 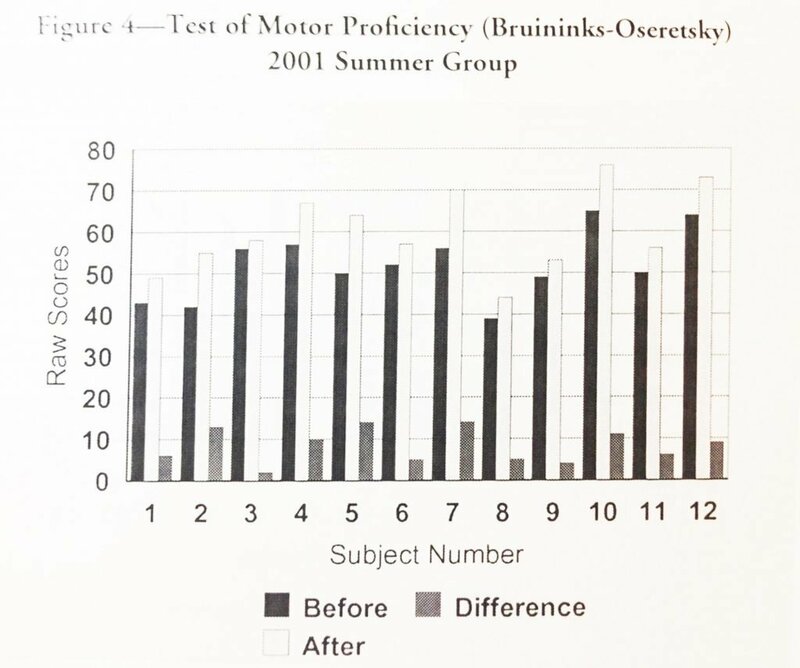 Since motor function is a precursor to improved brain integration, it is very likely that the academic skills will take a leap forward during the coming school year, based on the vast improvement in motor proficiency as shown in the Bruininks-Oseretsky Test. Most remarkable, was the change in the ADHD scores of the Test of Variable Attention (TOVA) where there was an average improvement of 19.42%. Since this test measures underlying neurological deficits, and none of these children were on any medication during the study, this change, as well as the Bruininks-Oseretsky Test shows the neurological improvement possible with Books Neural Therapy™. 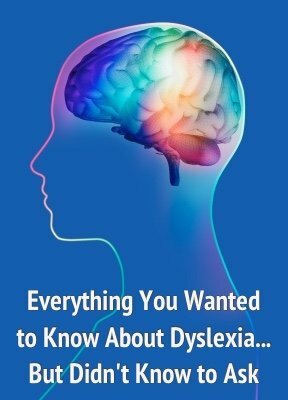 Most experts agree that learning differences and Attention Deficit Disorder have a strong neurological component. However, Ritalin ™ and other class two drugs have been the standard treatment for the neurological component. One of the goals of this study was to demonstrate statistically the efficacy of treatment of Books Neural Therapy™, a non-drug intervention for improvement in academic skills and social behavior. If a child has turned off both sides of his brain, (logical and creative) due to constant frustration in school, has been labeled “klutzy” or is accident prone, has had head injures, has structural misalignments (jaws, hips, unleveled eyes), low self esteem, inconsistent behavior and performance; Books Neural Therapy™ offers a comprehensive, non-invasive, one on one, whole body-brain reintegration which improves the quality of life in general, and academic and social skills in particular.